Thank God For Focus Groups! Part II! Otherwise, Sunflower Farms might have gone with an unappetizing name for their pasteurized process. “Their pasteurized process what?” you ask demandingly. 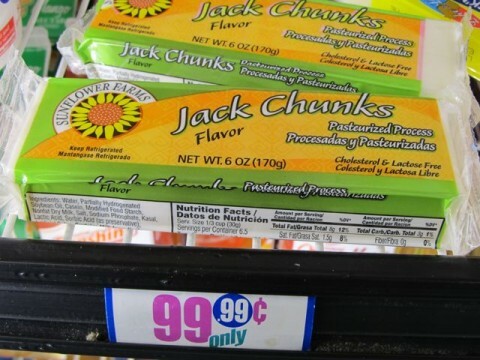 Speaking of cheese-like substances, I had jack chunks once. But a penicillin shot at the free clinic took care of that. Well, there go another eight people who’ll never visit this site again. Posted by Ted on March 5, 2012, 1:16 AM.